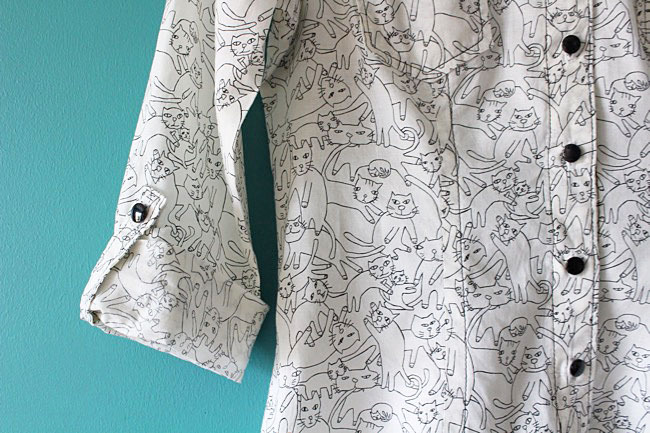 One can never have enough kitty print handmade clothing IMHO. 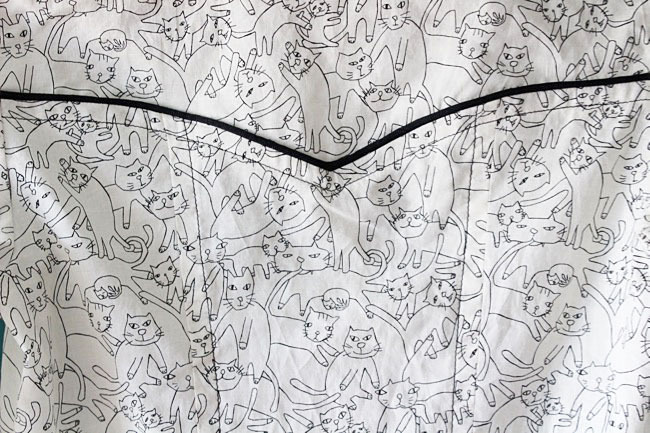 Remember my cat print Carolyn PJs? When I bought the lovely cotton lawn fabric on my Japan trip in January, I couldn't resist getting the same print in black and white too. 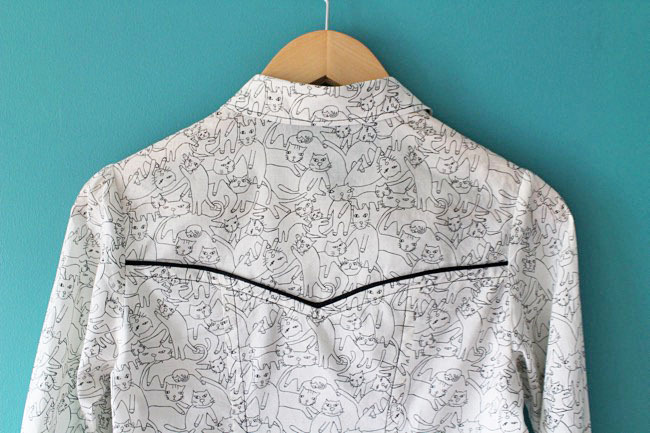 Before I made the PJs, I'd already put the B&W fabric to good use for this shirt version of the Rosa sewing pattern. 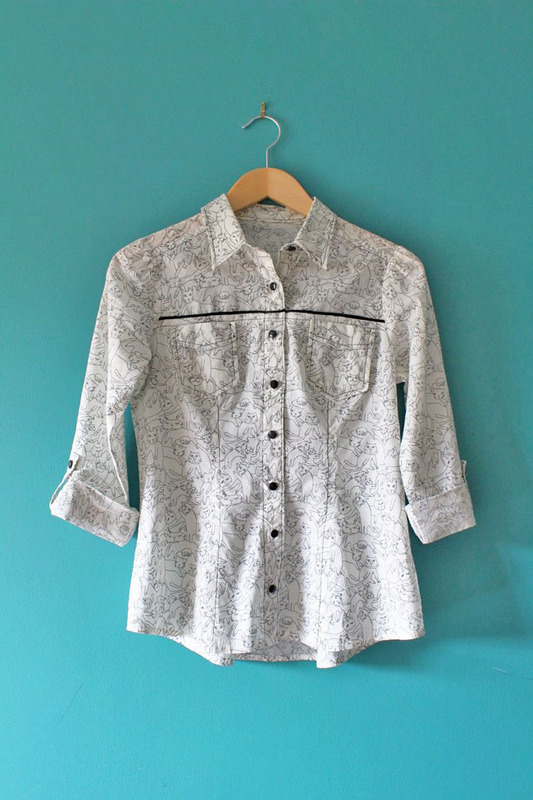 The pattern is a great showcase for a cute print like this, and I've been wearing the shirt to death these past few months with jeans and dungaree dresses (you can see me wearing it in the Sew Your Own Shirt or Shirt Dress workshop videos). I love it! 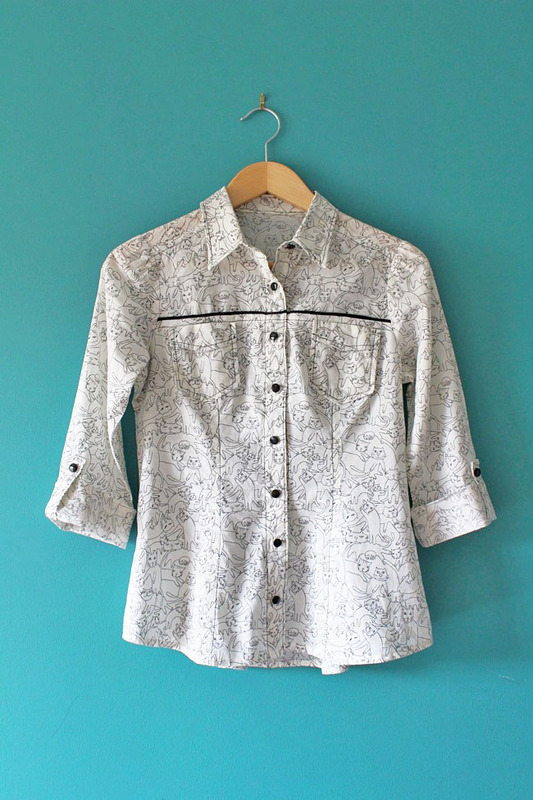 Because it's a busy print, I decided to highlight the lovely yoke seams on the pattern with black piping. 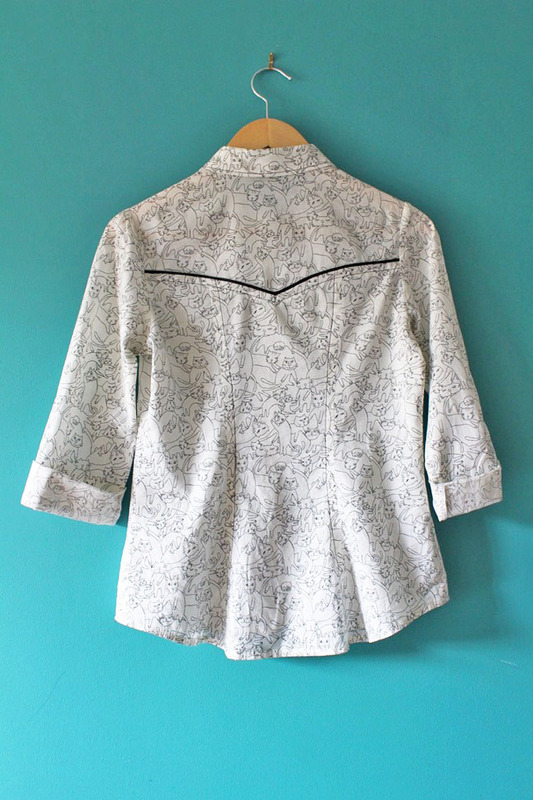 You could also add piping to the collar, princess seams and/or pocket edge if you want to. I didn't bother with this one, partly because I wanted to try a more subtle look, partly because it was a speedy sample made during the pattern development phase and I had a deadline! 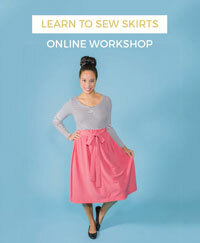 What fabric are you making your Rosa shirt or shirt dress in? I'd love to see! 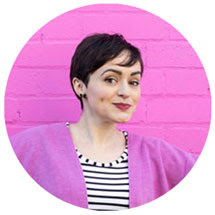 Share your makes or your works-in-progress with us on Instagram @TillyButtons #SewingRosa.